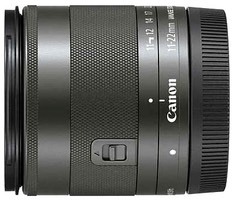 Canon today announced the long-rumored 11-22mm f/4.5-5.6 wide angle lens for the EOS M system. This is the third EF-M mount lens, and will begin to ship next month. Oddly, the lens is optimized for video, with near silent focus technology and an advanced stabilization mode. Along with the new lens, the EOS M camera gets new version 2.0.0 firmware. Canon is claiming that the firmware produces single shot focus speeds of up to 2.3x faster when using the kit zoom. No claims of improved speed are made for the 22mm lens, apparently. No specific time was indicated when the new firmware would be available. For some reason only the UK has gotten an official press release as I write this. The US public relations group hasn't issued one for the US that I'm aware of (I usually get it via email). 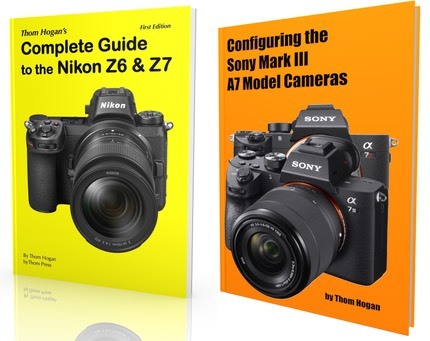 Also, the Canon sites don't seem to yet have either of the above releases yet.